What have BBC audiences been told about the P5+1 deal with Iran? 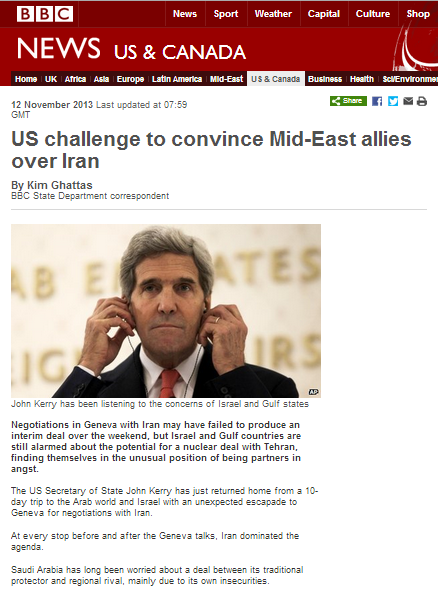 Some of the groundwork for the prevalent themes used in the BBC’s later coverage of the news that the P5+1 had agreed the terms of an interim agreement with Iran was already laid down nearly two weeks prior to that agreement in a November 12th article titled “US challenge to convince Mid-East allies over Iran” by the BBC’s State Department correspondent Kim Ghattas which appeared on the BBC News website’s US & Canada page, as well as in the ‘Features & Analysis’ section of its Middle East page. In that article, Ghattas used specific language in order to herd readers towards viewing some of the regional responses to the then still unsigned interim deal as reactions based purely on emotions – rather than on any concrete scientific or strategic factors with which audiences might need to familiarise themselves in order to fully understand the issue. Of course any “alarm” was actually related to the specific terms of the deal – not to the prospect of a deal in itself – and we later saw Ghattas promoting that same misleading theme once again in a filmed report. She went on to wave aside the concerns of one country in the region, making no mention of the significance of its physical proximity to Iran or of the Shia – Sunni enmities at work. “During a meeting in Jerusalem on Wednesday, Mr Kerry found himself ambushed in front of the cameras by the Israeli Prime Minister, Benjamin Netanyahu. Later, Ghattas’ cod psychology and crystal ball gazing skills were extended to cover the subject of talks between Israel and the PLO. Despite the BBC’s obligation to build a global understanding of international issues, Ghattas made no effort to explain to her readers the very real issues surrounding the actual terms of the deal which cause Israel, Saudi Arabia and others to have serious doubts about its long-term efficacy in containing Iran’s progress towards the acquisition of nuclear weapons. Instead, she reduced the entire issue to the level of a soap opera, projecting emotional reactions onto states, engaging in two-penny psychology of their leaders and herding her readers into simplistically viewing any country less than enthusiastic about what the BBC has consistently promoted as a ‘best thing since sliced bread’ deal as emotion-driven hysterical nay-sayers spoiling the rest of the world’s party. 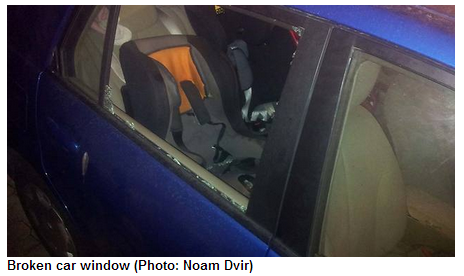 At around 5 p.m. on Thursday November 28th Shirin Ben Zion was driving with her three children along Asher Weiner street in the south Jerusalem area of Armon HaNetziv when her car was attacked by stone-throwers. Her daughter Avigail – aged two – was hit by a rock weighing some 1.5 kgs and had to be evacuated to hospital due to a fractured skull. 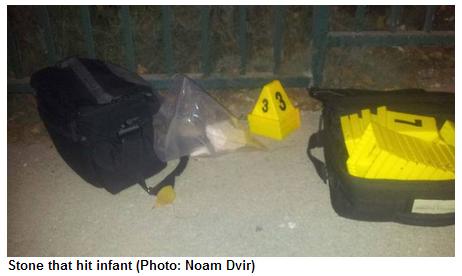 “Paramedic Raphael Herbest said that “when we arrived at the scene we saw the infant was bleeding at the head. She was lethargic… we were told she was hit with a large stone that hit her head while she was in a car. It was later announced that four youths had been arrested in connection with the incident. The police spokesman noted that additional vehicles had been attacked in the same area on the same day. The BBC’s Jerusalem Bureau is some eleven minutes’ drive from the location of the incident in which Avigail was injured. 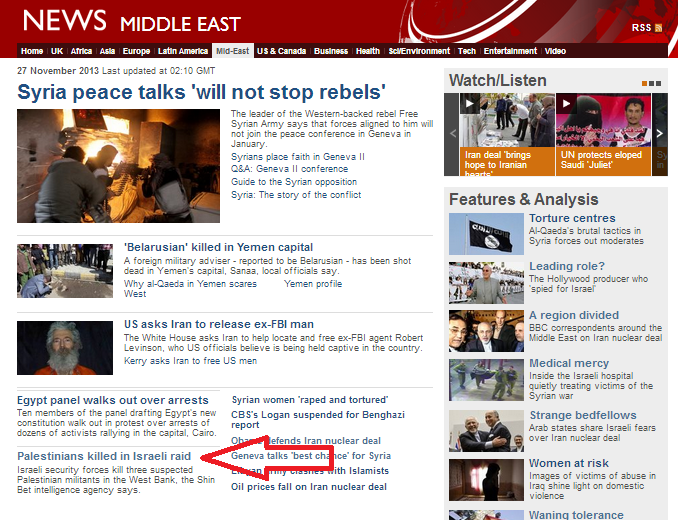 Twenty-four hours later, no report on the attack has appeared on the BBC News website. Readers of the website can, however, instead learn all about Orthodox beauty salons in Jerusalem. 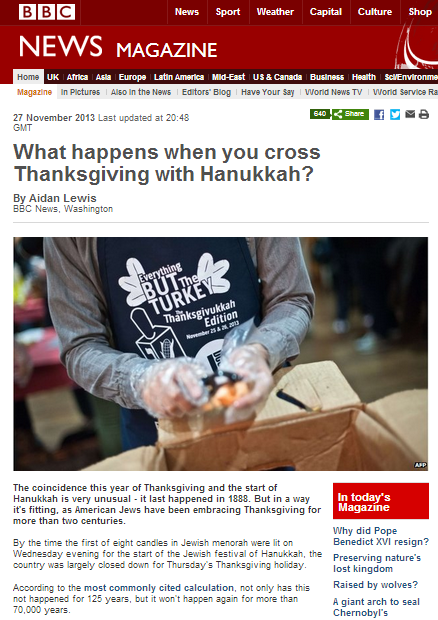 On November 27th the BBC News website’s Magazine section included an article titled “What happens when you cross Thanksgiving with Hanukkah?” by Aidan Lewis. 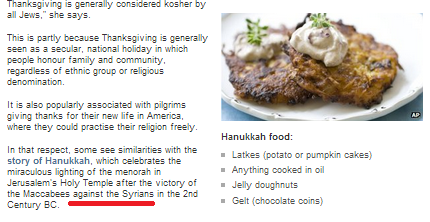 Readers celebrating Hanukkah may be rather surprised to learn that, according to that article, that they are in fact marking the rededication of the Temple after the “victory of the Maccabees against the Syrians”. 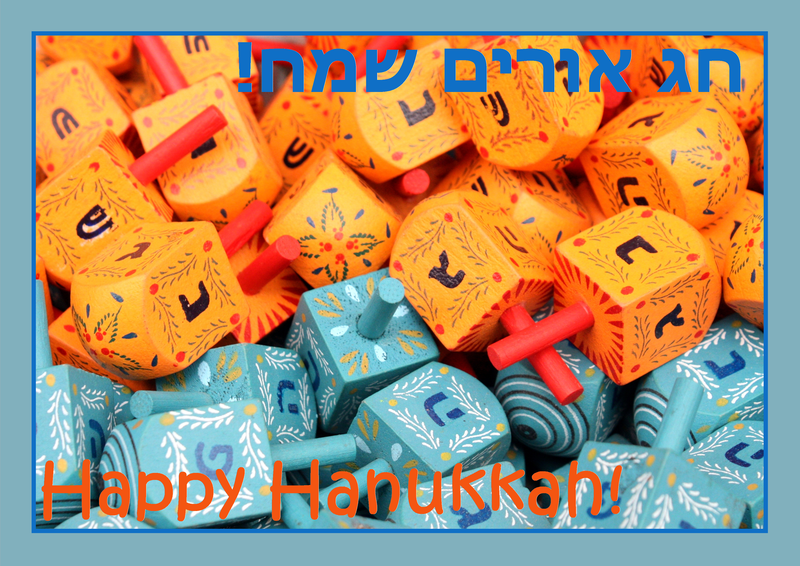 “The festival reminds Jews of a time over 2500 years ago when Antiochus, a Syrian king, tried to make the Jewish people worship Greek gods. A statue of Antiochus was erected in the Jewish temple and the Jews were ordered to bow down before him. The Ten Commandments forbid Jews to worship statues or idols and so they refused. 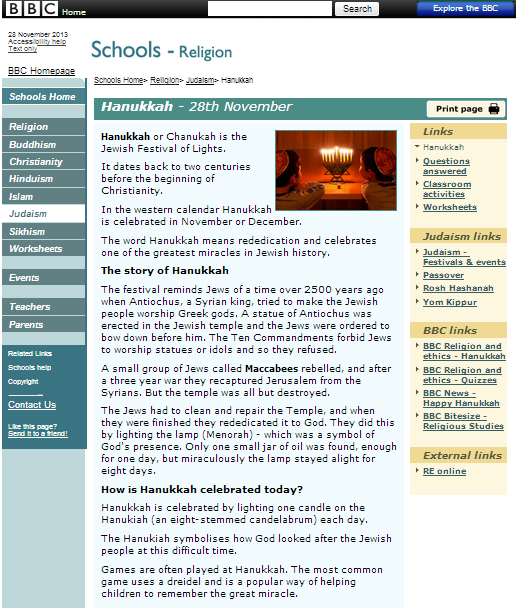 Whilst the Seleucid Empire – against which the Maccabean revolt was actually directed – did include Syria, Lewis’ description certainly does not reflect the tradition of Hanukkah as a victory over forced Hellenisation. One can only wonder what the Macedonian dynasty to which Antiochus IV Epiphanes belonged would have had to say about being dubbed ‘Syrians’ by the BBC. As we have had to point out here on numerous previous occasions, the BBC’s editorial guidelines on impartiality clearly state that the affiliations of interviewees should be made clear to audiences. “Some “experts” may have a history of sympathising with one cause or another even if they have no overt affiliation. It is preferable, where time and space allow, to provide a lengthier indication of the contributor’s views on past issues so that the audience might calibrate his or her statements for themselves. In all reporting we should avoid generalisations, bland descriptions and loose phrases which in fact tell us little about a contributor or event. The phrase “Middle East expert” implies the BBC thinks this person’s views have weight and independence. If we can defend that judgement – that’s fine. If not it may be better to avoid the phrase. In other words, there are mechanisms in place to ensure that BBC audiences are not misled by partisan opinions disguised as impartial expertise, but those safeguards cannot be effective if the BBC ignores them – as it has done on numerous occasions. 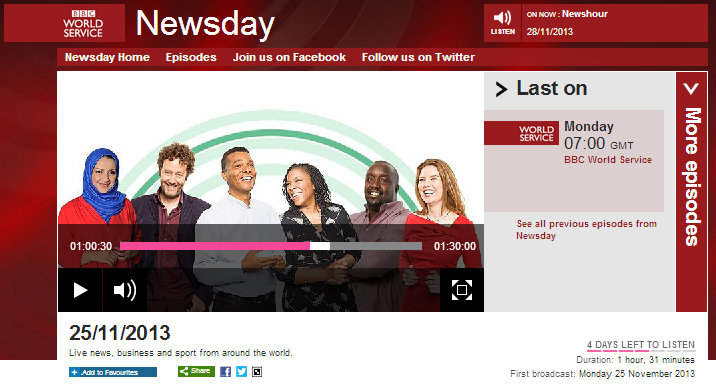 On November 25th 2013 the BBC World Service programme ‘Newsday’ hosted what its presenters termed a “panel of experts” in order to discuss the proposal that “the world is now a safer place” in the wake of the P5+1 deal signed with Iran. Of the three panel members, only one – Chris Doyle – was introduced together with the name of his organization CAABU. Michael Goldfarb was described as an “American commentator in London”, with no mention made of the fact that he works for the Global Post and for BBC radio. 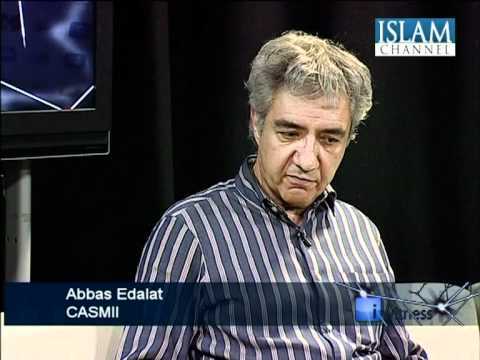 Most egregiously, the founder of CASMII – Abbas Edalat – was introduced merely as someone who “campaigns against Iranian sanctions”. 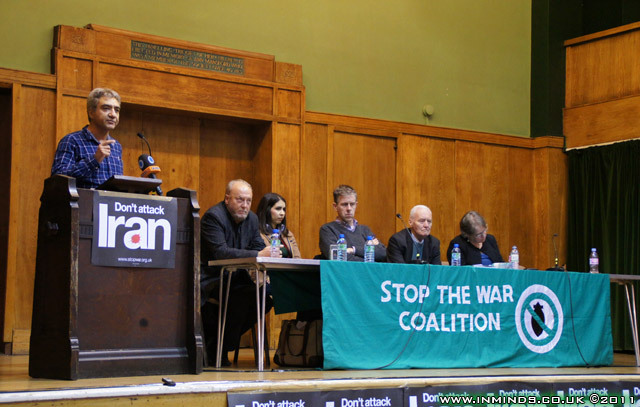 CASMII (established in the UK in 2005 and in the US in 2006) is of course known for its connections to the Iranian regime and its lobbying activities on behalf of that regime. The ‘Newsday’ panel discussion is spread throughout the first hour of the programme (available here for a limited period of time), with Doyle and Goldfarb very much taking a back seat and Edalat dominating the discussion and exploiting in full the platform provided by the BBC for the amplification of undiluted Iranian propaganda both on the subject of the recent agreement and on wider regional issues. The notion of a theocratic terror-financing regime which persecutes its own citizens as a ‘stabilising’ regional element is not challenged by Khalil. Again, Edalat’s conspiracy theories are broadcast unchallenged by the BBC World Service presenter. None of the other contributors make any effort to balance Edalat’s claim to the “right” to enrich uranium, thus leaving audiences with the distinct impression that such an undisputed right exists under the terms of the NPT. That, however, is the only counter to Edalat’s flow of regime propaganda. So there we have it: undiluted Iranian regime propaganda broadcast to tens of millions of listeners around the world by the ‘reputable’ BBC World Service in the guise of an “expert” opinion, and with complete abandonment of the editorial obligation to make the connections of that “expert” known to audiences. Why does the Guardian get Middle East analysis wrong? 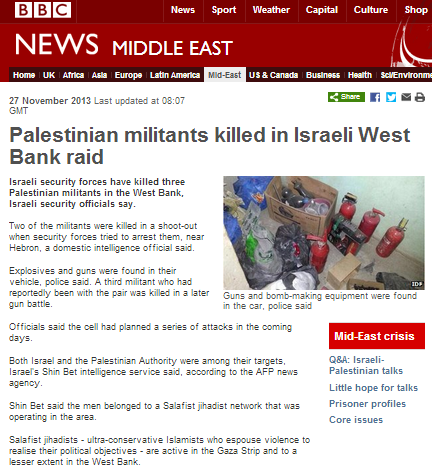 A headline appearing on the Middle East page of the BBC News website on the evening of November 26th informed readers of “Palestinians killed in Israeli raid”. 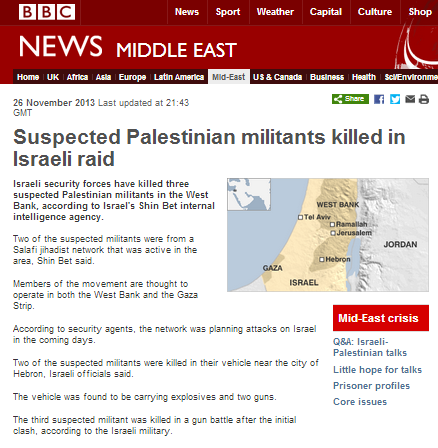 The link leads to a short article titled “Suspected Palestinian militants killed in Israeli raid“, the second version of which is shown below. That 121 word article contained very sparse information and was amended after its initial publication to include two additional uses of the phrase “suspected militants” in addition to the two already included in its initial version. “The Palestinian terror suspects were in a car that had explosives and firearms in it, when they were met by the counterterrorism unit and additional special forces, who were sent to intercept the vehicle, a senior IDF source said. On the morning of November 27th, the BBC report underwent significant changes and the later version now reflects the fact that an exchange of fire took place. It neglected to mention that the cell was also planning attacks against the Palestinian Authority. “Officials said the cell had planned a series of attacks in the coming days. “The presence of the Salafis, most of whom are not violent, is now being felt in the West Bank, nearly a decade after they established themselves in the Gaza Strip. Last year, saw a rise in their organized operations, most of which are not political and do not involve terror activity. In East Jerusalem, in particular, one stream called Hizb a-Tahrir stands out, though its activities aren’t violent. Still, there have recently been large assemblies of Salafist groups at several locations in the West Bank, including in the Hebron area. “Suddenly, from nowhere, you hear that 30,000 people are attending a gathering at the stadium in the South Hebron Hills,” a senior military official told Haaretz. Whilst it is good to see the BBC News website correcting its own mistakes, no notification of the changes made is provided to those visitors to the site who read the earlier – inaccurate – versions of the article during the eleven or so hours that they were left up on the website. Having already read the report, those readers are unlikely to bother revisiting it just to check if the BBC has made any amendments. Once again, this underlines the need for a dedicated page showing corrections and amendments on the BBC News website. Also on November 26th, a Palestinian from the Gaza Strip carrying a grenade was apprehended near Kibbutz Kfar ‘Aza after managing to infiltrate the border fence. On the same evening, residents of Ashkelon had to rush to their air-raid shelters as the siren warning of incoming missiles from the Gaza Strip sounded. 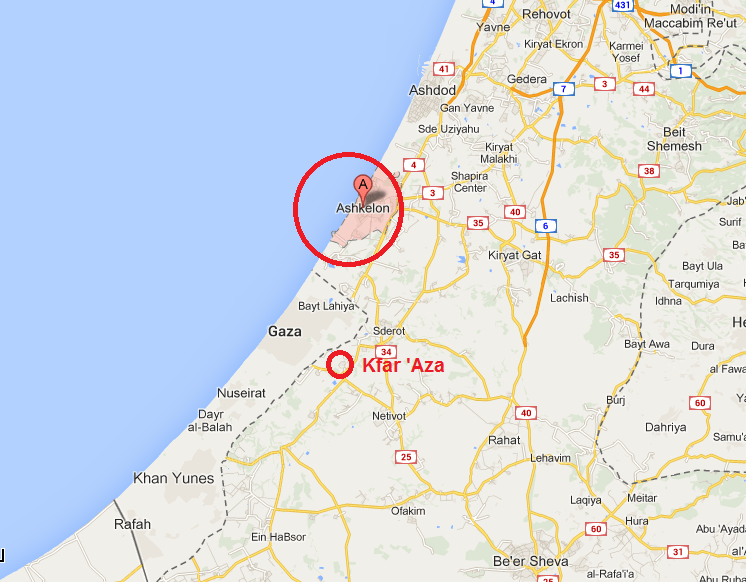 The missile fell short, landing in the Gaza Strip and endangering the local population there. Neither of those incidents was reported by the BBC. On November 24th we noted the BBC’s consistent under-reporting of news from Palestinian Authority controlled areas, including the lack of coverage of a military parade and a recently launched video by Fatah’s Al Aqsa Martyrs Brigades. Palestinian Media Watch has now translated parts of that video, noting that it has been posted on Fatah’s official Facebook page. 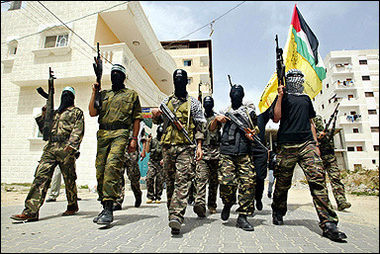 The various articles and backgrounders on the subjects of Fatah and the Al Aqsa Martyrs Brigades appearing on the BBC website are notable for the fact that the more recent the article, the more the connection between the political and military wings of Fatah is downplayed. In November 2003 a BBC investigation revealed the transfer of funds from the Palestinian Authority to the Al Aqsa Martyrs Brigades and noted the “close links” between that proscribed terror organization and Fatah. “Close links between Mr Arafat’s political faction Fatah and al-Aqsa are also discovered by the programme. One local Fatah leader in the West Bank town of Jenin says that the al-Aqsa group is the military wing of his organisation and that Mr Arafat is the overall leader of both the political and military arms. 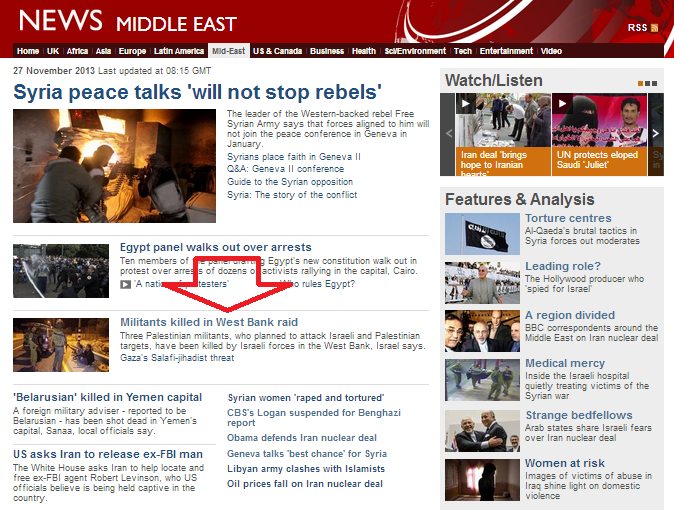 By 2007 the BBC was describing the Al Aqsa Martyrs Brigades as being “affiliated” to Fatah. “The second intifada saw a number of armed groups associated with Fatah and Tanzim emerge, most notably the al-Aqsa Martyrs’ Brigades. That description is repeated in a 2011 profile of Fatah which currently appears on the BBC website. Of course any media organization truly committed to keeping its audiences informed in order to “[e]nable individuals to participate in the global debate on significant international issues” (such as the Middle East peace process) would ensure that they had a realistic picture of the nature of the connections between the largest faction comprising the body currently conducting negotiations with Israel and a proscribed terrorist organization which has received operative support from Hizballah, as well as of that faction’s continued incitement and glorification of terrorism as shown, yet again, in this example. On November 21st we noted here that – despite the presence of BBC staff in the Gaza Strip at the time – no report had appeared on the subject of the military parades which took place there on and around November 14th. 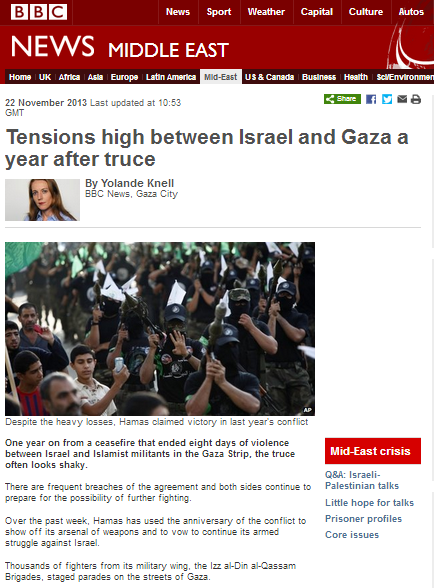 On November 22nd an article by Yolande Knell titled “Tensions high between Israel and Gaza a year after truce” appeared in the ‘Features & Analysis’ section of the BBC News website’s Middle East page. Knell opens her article with descriptions of those military parades. She notes that “[m]ore than 170 Palestinians and six Israelis were killed in last November’s clashes” but fails to make it clear to her readers that some 60% of casualties in the Gaza Strip were members of various terrorist organisations, including 71 from Hamas, 17 from the PIJ, six from the PRC and three from Fatah. Once again, this version of events fails to provide BBC audiences with any of the important context behind the reasons for the operation. The use of the phrase “which it said was aimed at ending rocket fire from Gaza” implies that the BBC is not convinced that the fact that between January 1st and November 13th 2012 (the day before the operation began), 797 missiles had been fired from the Gaza Strip at civilian targets in Israel – one hundred and twenty-three of them between November 10th and 13th alone – was reason enough for Israel to take action to stop those terror attacks. Her next sentence, however, indicates that “to prevent rocket fire” – a la BBC – means the launching from territory controlled by Hamas of over fifty missiles at civilian targets: in other words, an average of one terror attack a week. The breathtaking banality of Knell’s downplaying of the effects of regular terror attacks on civilians is enabled by the fact that since the end of last November’s hostilities (and likewise before their ‘official’ commencement on November 14th 2012) no BBC reporter has made the 90 minute journey from Jerusalem to Sderot or Ashkelon in order to bring to BBC audiences the experiences and viewpoints of residents of those areas still subject to regular missile attacks. Whilst the number of missile attacks (most of which have been ignored by the BBC) has indeed decreased since the end of last November’s operation, past experience of the similar situation after Operation Cast Lead in 2008/9 shows that trite reporting of mere numbers conceals a much more complex picture. “Hila Barzilai, the director of the Sderot Resilience Center (Merkaz Hosen) recently told Sderot Media Center that in the past six months following Operation Cast Lead, hundreds of Sderot children have turned to the resilience center for therapy treatment. The average recovery period for a child can take up to eight months or more, said Barzilai. One of the challenges of trauma patients face in the recovery process are the sporadic rocket attacks that still continue to hit Sderot and the western Negev region. Orna Hurwitz, the director of the Sderot Bon Tone Hearing Institute, told Sderot Media Center on Monday that hearing loss has become an ailment unique to Sderot and Gaza-border residents. And yet, the BBC continues to avoid telling this story in full, thus compromising its obligation to “[e]nable individuals to participate in the global debate on significant international issues”. Similar phrasing was again used in an additional article dating from October 28th. Details of the investigation into the murder of Col. Ofer indicate that the characterisation of the incident as a terror attack – which the BBC implied through its choice of wording and punctuation should be viewed with scepticism by its audiences – was in fact entirely justified. “Two men arrested by security forces for the slaying, 18-year-old Uda Harub, and 21-year-old Bashir Harub, of the West Bank village of Deir Samat near Hebron, had already confessed to killing Ofer, and during subsequent questioning, shed light on the their motives, saying they originally planned a robbery, and then decided on a terrorist plot. Two weeks before the attack, the murder suspects arrived at Ofer’s home in the vacation resort of Barush [Brosh] to surveillance the area ahead of a violent robbery they were planning, according to their testimony. To date, visitors to the BBC website have not been informed that the scepticism they were encouraged to employ with regard to the motives for this attack – and others – was redundant.